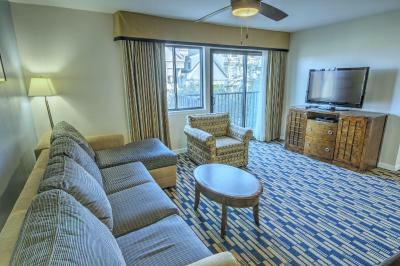 Lock in a great price for The Suites at Fisherman's Wharf – rated 8.7 by recent guests! Great room, but walls were very thin - could hear every conversation from the people above us. Also the sofabed was extremely uncomfortable. 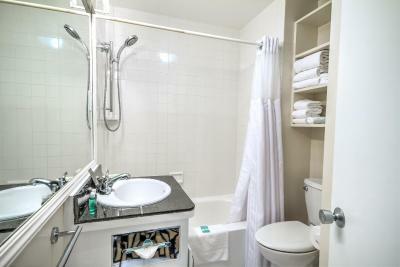 Big suite, friendly staff, good location, close to cable train and wharf. Also renting bikes is just few steps away. I stayed in a one bedroom unit. Room was clean, comfortable, and furnished very nicely with more than enough living space. These are just self catering suites, no food is offered. Our suite was very spacious with loads if stage space. Large bedroom, very large lounge with dining table and small galley kitchen with massive fridge, dishwasher, microwave, coffee maker and a two ring hob. Absolutely spotless. Staff were lovely and very helpful. 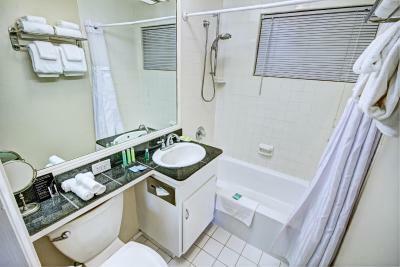 Spacious 1BR apartment with separate living area and well equipped kitchenette with full size fridge. Bus stop and cable car at the door and easy walk to local supermarket and Fishermans Wharf. 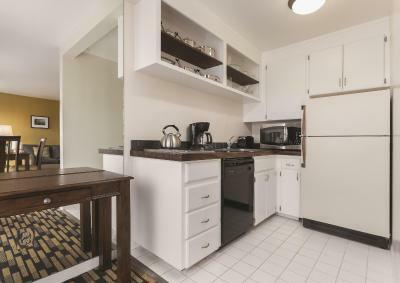 We like the cleanliness of the rooms, the space, and the full kitchen. The front desk staff are very helpful and friendly. The location is great with a bus stop just around the corner. Great room in a good location to the places we wanted to visit. The Suites at Fisherman's Wharf This rating is a reflection of how the property compares to the industry standard when it comes to price, facilities and services available. It's based on a self-evaluation by the property. Use this rating to help choose your stay! 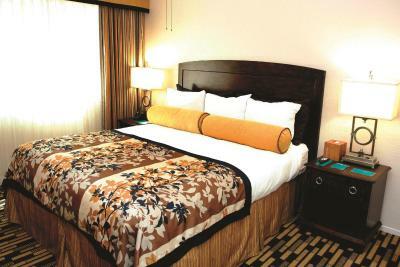 Located next to the Hyde Street Cable Car stop, this all-suite hotel is an 8-minute walk from Fisherman’s Wharf. The rooftop deck offers views of San Francisco Bay. 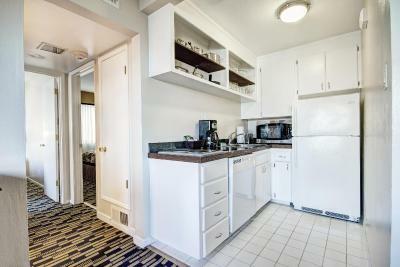 Kitchenette facilities and free WiFi are available in every spacious suite. Decorated with floral patterns and beige accents, each suite at The Suites San Francisco provides a 42-inch flat-screen cable TV. The suites include a dining area and living room. 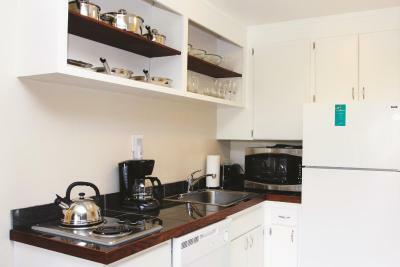 The kitchenettes offer a 2-burner stove-top and a dishwasher. The hotel’s tour desk can offer information on local attractions. A business center is available for added convenience. The Pier 39 local marketplace is 17 minutes' walk from The Suites at Fisherman’s Wharf. 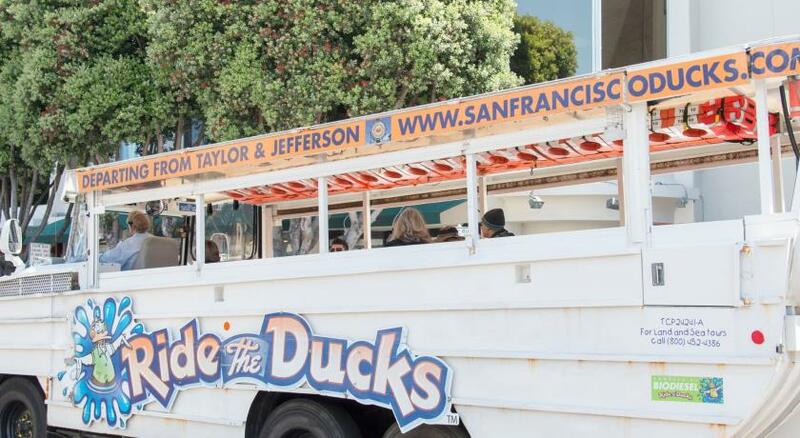 The ferry to Alcatraz Island is also 17 minutes' walk away. 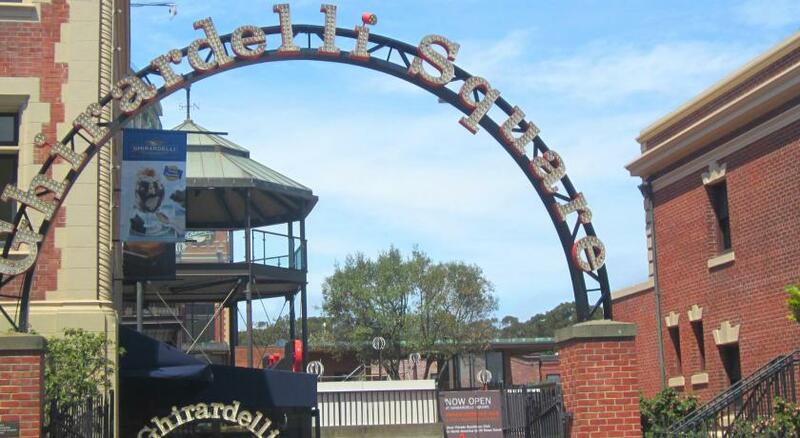 Ghirardelli Square is 3 minutes' walk from the hotel. Fisherman's Wharf is a great choice for travelers interested in seafood, harbors and restaurants. 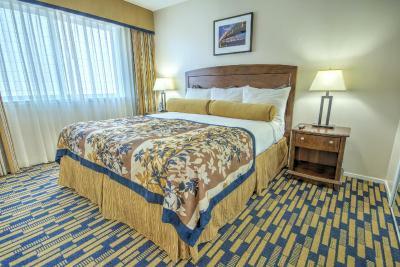 When would you like to stay at The Suites at Fisherman's Wharf? Features a kitchenette, 2 separate bedrooms, a dining area and a seating area with sofa bed. Rates are based on 2 guests. 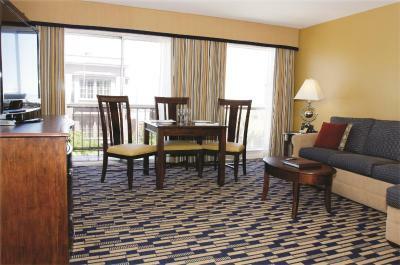 A maximum of 6 guests can stay in this suite. Please refer to the policies for fees that will apply for additional guests. Features a kitchenette, a dining area and a seating area with sofa bed. Rates are based on 2 guests. A maximum of 4 guests can stay in this suite. Please refer to the policies for fees that will apply for additional guests. 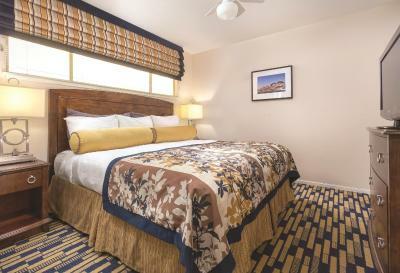 An all-suite hotel in the quiet residential section of Fishermans Wharf. Each suite has a large living room- one or two separate bedrooms- an equipped kitchen and a full private bath. There is limited on-site parking -fee extra. Relax and enjoy panoramic views from the roof top deck of the golden gate bridge and Alcatraz Island. 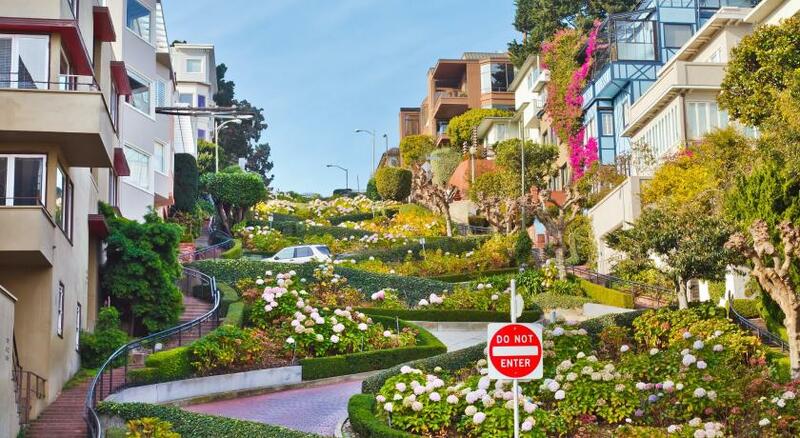 Walk to Ghirardelli Square- or catch a ride on the Hyde street cable car just steps from the hotel. 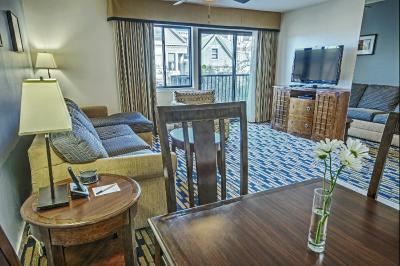 The Suites at Fishermans Wharf is an ideal location when visiting San Francisco. Hotel surroundings – This neighborhood is a great choice for travelers interested in seafood, harbors and restaurants – Check location Excellent location – show map Guests loved walking around the neighborhood! House Rules The Suites at Fisherman's Wharf takes special requests – add in the next step! The Suites at Fisherman&#39;s Wharf accepts these cards and reserves the right to temporarily hold an amount prior to arrival. The Suites at Fisherman's Wharf accepts these cards and reserves the right to temporarily hold an amount prior to arrival. Great location and lovely friendly staff. We had some trouble with the thermostat which was a little difficult to work to get heat. Management got it working, but it still was a bit troublesome. Liked having the extra space a suite has. Appreciated having kitchen facilities so we could cook our own breakfasts and have an occasional meal in. Liked being close to transportation and Fisherman’s Wharf. Nothing. Pity apartments are mainly single bedrooms - would be excellent for older family groups. 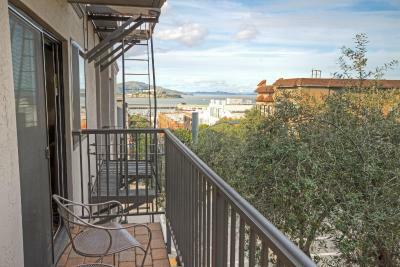 Excellent location away from the busy main tourist area of Fisherman's Wharf but close enough to visit. Cable car stop almost outside and bus stop (47) just around corner. Cafe de Casa one block away excellent place for breakfast. Roof terrace gives amazing vistas of bay. The room was clean and everything was in place and working very well. It just was a bit smelly. Like old stuff smelly. Not something dramatic though. In stayed in unit 104. Location of my unit was not good. It was located on the corner first floor, facing city, with very uninviting outdoor sitting space. It requires better lighting. It felt like you were staying in a basement unit. Try and request a unit facing the Bay. Though there is a busy street on this side, I'm sure the lighting is better. Also, request an upper floor unit. Walls are very thin, and conversations of occupants above me could be heard very easily. The heating wasn't working which was not good in winter in SF. Staff gave us space heaters but we could only have one on at a time as it tripped the electricity, so the apartment was quite chilly. The bathroom was very small and situated right at the front door which was unusual to say the least. Loved the hotel’s proximity to the cable car, the bus, restaurants, and shopping. Also loved the view from the rooftop!